a literary experience; or, the summertime epiphanies of a final year english literature student - Words Matter. For Emma Stone in Easy A, it seems to be “always the way” that there is a connection between the literature we study in class and the way it resonates in real life. I have often mused upon this myself. But during the last two years of my undergraduate degree in literature, I have never fully grasped the true meaning behind this notion. All that was about to change. This summer I actually had one of those experiences. My story begins at home, in Cambridge. From bolstering the Bloomsbury group to educating E.M. Forster, the city is responsible for producing numerous literary legacies. However, such impressive alumni are not restricted merely to the university. One institution to produce its own fine array of literary legends is The Leys School. The Leys is a co-educational independent day and boarding school. Founded in 1875, It is an institution steeped in tradition. The school is situated in extensive grounds and houses some of the finest examples of traditional Cantabrigian architecture; it is known as the city’s most prestigious private school. I had often wondered what it would be like to walk through those wrought iron gates and step inside of one of the turreted buildings. This summer I was let inside, and what an education I received! A nostalgic tale of an old schoolmaster. Literature stares you in the face at The Leys. As I walked through the halls looking up at the vaulted ceilings and mahogany panelled walls, I was not mistaken in thinking that the school bears an uncanny resemblance to something out of a novel – a James Hilton novel, to be precise. Hilton boarded at the school from 1915 to 1918. He went on to study at Christ’s College, Cambridge, before publishing his most notable work. 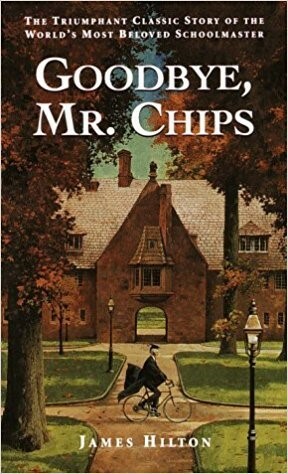 Goodbye Mr Chips tells the story of a beloved school master and the many lives that he touches. Though the setting for this novel is fictional, it is believed to have been inspired by the school. The main protagonist was also inspired by one of Hilton’s own school masters, Mr Belagranie. Affectionately known as ‘Mr Chops’, due to the style of his mutton-chop beard, Hilton admitted that “Belgarnie was, I suppose, the chief model for my story.” The school is very recognisable in the text. With countless references to the surrounding fenlands, as well as the distant moo of cows along the back next to the river Cam – the place where Chips first encounters his future wife – it was slightly eerie to walk in the path of a fictional character. By far the most impressive literary connection I discovered whilst working there was still to come. It was not, however, the fact that the inspiration for the Ian Fleming novel Casino Royale was also an old boy (which let’s face is pretty cool), but that J.G Ballard studied there too. This really brought literature home for me. I was shamefully rather late in discovering Ballard. We studied his semi-autobiographical war novel, Empire of the Sun as part of our ‘Conflicting Words’ module only the previous term. I was stunned by such a close connection. It is indeed a very small world. I rounded the summer off with a two-week work experience placement at the Cambridge American Cemetery and War Memorial. Commissioned by the US Government, the cemetery commemorates the American servicemen and women posted to East Anglia who died during World War II. Working in the visitors’ centre, I got to encounter history hands on. In the process of devising my own tour, I was granted access to the cemeteries archives. One archive that I came across was that of Lieutenant Colonel Tommy Hitchcock. Though in terms of the war he is remembered best for his involvement in developing the p-45 mustang engine, he was also a champion polo player. Having discovered the sport when he enrolled at Harvard University, fresh from returning from WWI, Hitchcock began playing internationally. 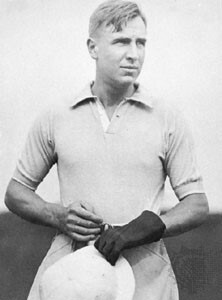 It was during a match held on Long Island that Hitchcock drew the attention of a famous author. The author was F. Scott Fitzgerald, who fashioned two characters after Hitchcock: Tom Buchanan in The Great Gatsby and Tommy Barban in Tender is the Night. If this summer has taught me anything, it is that my third-year anxieties are unfounded. As I approach the end of my degree I have questioned whether this means I will be ‘done with’ all things literary, and thus will be leaving my education behind. Though some of us will not go on to pursue an academic relationship with our beloved literature, our literary education will not necessarily have to end. Literature is part of our cultural heritage. It surrounds us. If we look a little closer we can experience literature in real life, thus ensuring that our education will never truly end.